Tom says I don’t love small business people. 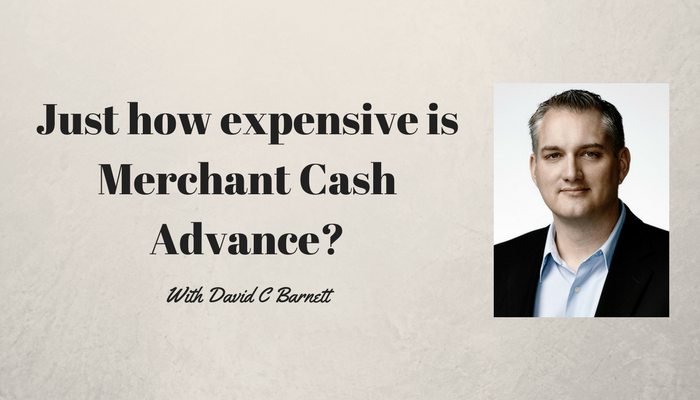 If I did, I wouldn’t be so hard on Merchant Cash Advance he claims. You see, I made a video 3 years ago about how small businesses with credit card terminals could effectively sell a portion of their future cash flows to get money today. I said that this was a very expensive way to finance a business and that people need to be fully informed about the actual costs. Tom thinks that I got my numbers wrong and that we should be rejoicing that this financing option exists in light of apathy and searing hatred on the part of big evil banks. 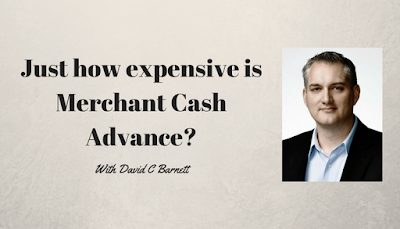 I made a new video where I explain how expensive merchant cash advance can really be and the difference between APR and ‘payback.’ Payback is a new financial term created by this industry to try to confuse unsophisticated small business owners. Why haven't you shared this article on social media? Do you hate your friends? This information is useful. Help them Please! !